DP Ultra has been formulated and thoroughly tested for optimum cooling performance and corrosion inhibition. It is produced in Germany from high-quality, absultely pure components. DP Ultra has been specifically designed for the requirements of PC water cooling systems, which often often include a multitude of materials including copper and aluminum. Electric conductivity has been reduced to a minimum. The active ingredients also reduce bubble formation in the cooling fluid and optimize the heat transfer between water block surfaces and fluid, making it ideal for use in water cooling systems. 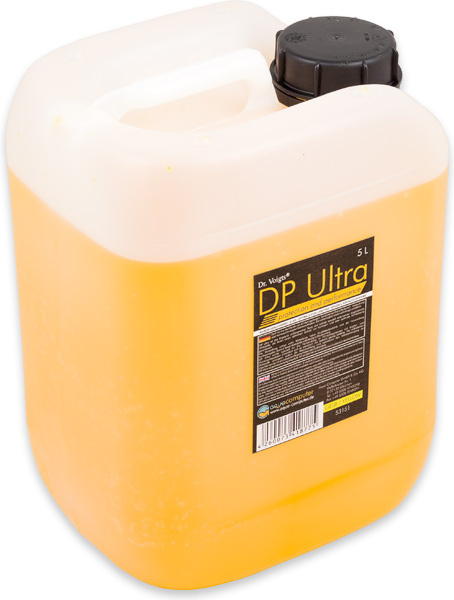 DP Ultra is a clear and virtually odor free water based solution and ready for use. We recommend an annual exchange of the coolant. Advice: Please note that the colored Double Protect Ultra fluids appear darker in color inside the bottle compared to the color seen inside hoses. Compare the the product photos to see the difference. This product was added to our catalogue on Thursday, 10. October 2013.